Not so long ago, I was writing about the different ways art could help heal people. 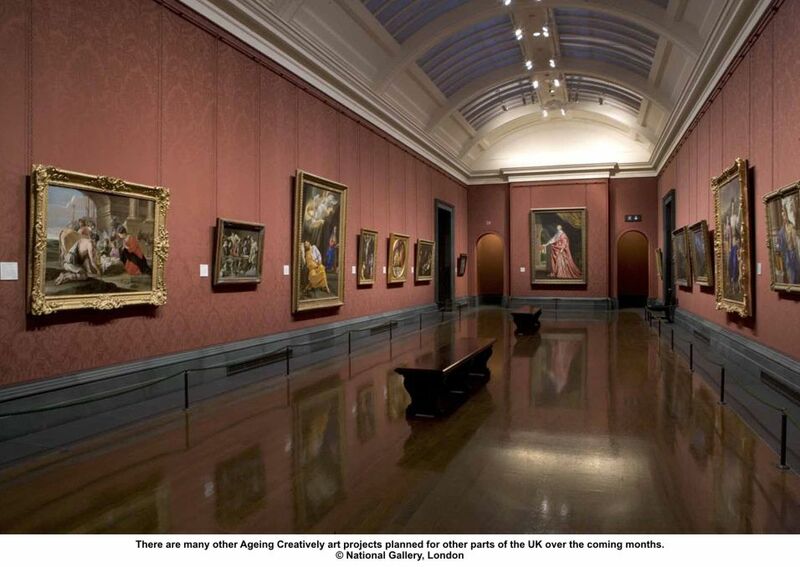 I was therefore fascinated to read in yesterday's ArtDaily.org about a programme at Britain's National Gallery called Ageing Creatively. It is designed to involved people who may be isolated, unable to get out much and generally in need of mental stimulation and companionship, including - at present - people suffering from aphasia, difficulties in communicating in any form, a situation often brought on by suffering a stroke. By learning ways of painting that, for instance 17th century artists used, the participants are creating art work, and then turning to more modern art to do the same sort of thing. Apparently, all these sorts of activities are hugely helpful and the art is the pathway to a lot of healing. The National Gallery Outreach Officer, Emma Rehm, describes the many faceted Ageing Creatively programme thus: “Participatory projects which use art as their starting point bring clear benefits for people with disabilities in terms of physical stimulation, sociability, creativity and enjoyment, and this can have a positive effect on health and general well-being. 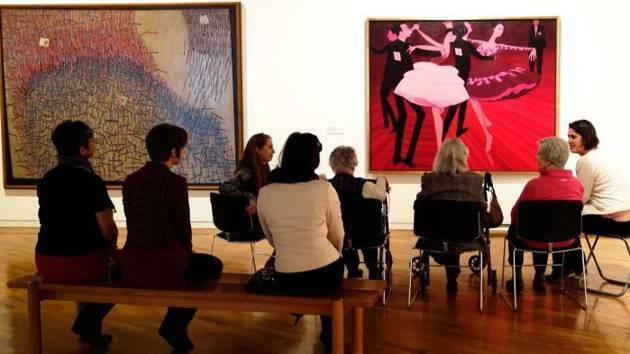 Participants will be able to share their thoughts and use the National Gallery paintings as inspiration for their own work.” Newham Council’s Executive Member for Health, Councillor Clive Furness, said: “When people suffer a serious or debilitating condition, there is the fear that their useful and creative life is at an end. Projects like this enable people to discover and develop new skills, and to do so in the company of a group of friends." I can't think of a more constructive endorsement for the role of art in daily life for everyone, no matter what the situation.